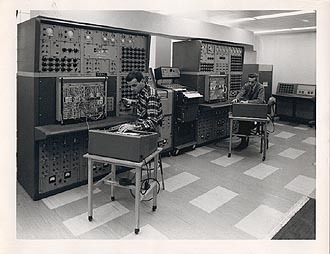 The Kim-1 was in fact donated by my father, who was in charge of the first analog computer bought by the Canadian National Defense (the computer was a REAC Reeves Electronic Analog Computer). At 84 years he is the oldest retired sysop. 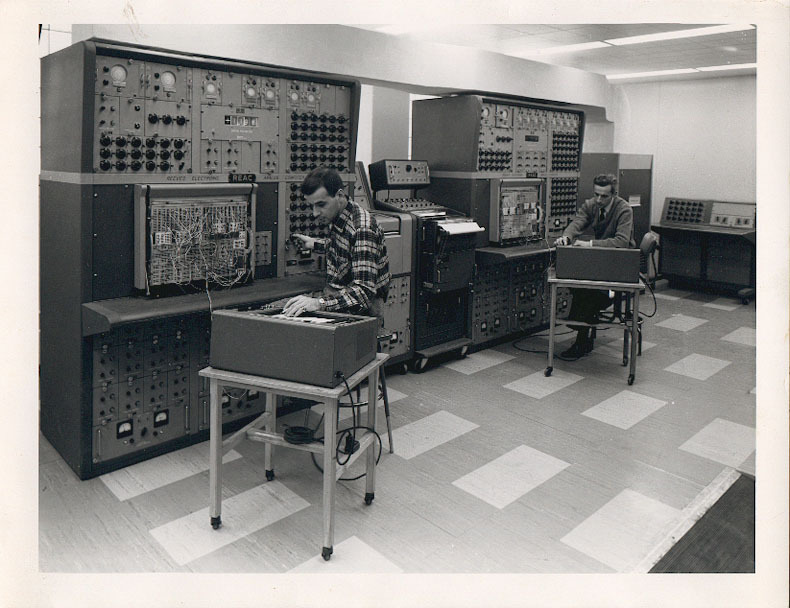 I have finally found the picture of my father working on the REAC 400 (Reeves Electronic Analog Computer) circa 1960, dad is the guy on the right (see above). This picture was taken at the Defense Research Establishment of Valcartier. I think it's an official (propagand) picture because nobody was allowed with a camera in a defense research establishment (specially during the cold war era). My father's name is F-Robert Trépanier but everybody called him Bob He worked at DREV from october 1952 to november 1984 where he retired at 65. Before that he was working at Canadian Marconi as an inspector on a radio assembly plant (at that time Marconi was making military airplane radio equipment, lamps of course, no transistor yet). Bob was a geek before time, so when the Kim-1 was introduced to the market having a computer at home became affordable he ordered one and started building a lot stuff around it, I also learned machine language on it.